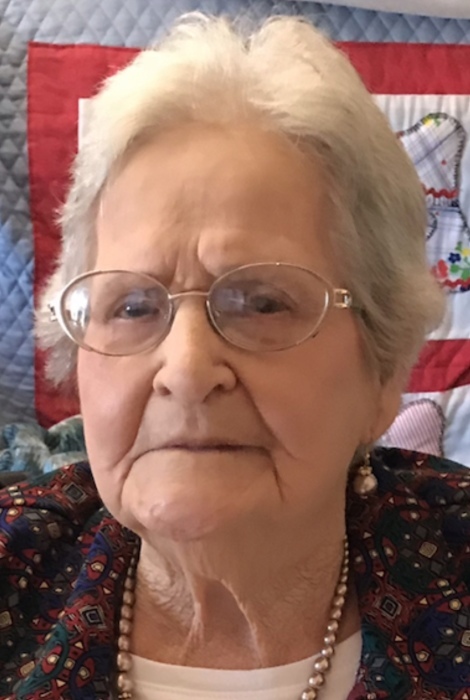 Obituary for Asalea White | Smith Mortuary, Inc.
Asalea White, 97, of Cecil, AR passed away February 4, 2019 in Charleston. She was born July 30, 1921, in Branch, AR to the late Thomas A. and Deller (Chambers) Kanady. She enjoyed being a bingo caller at the Lavaca Senior Citizen Center. She was a member of Riverdale Free Will Baptist Church. She also loved her family and roommate Dorothy at Greenhurst. She was preceded in death by her husband, Bob White; two daughters, Bobbie Lee White and Joan Hall; two sons, Charles T. White and Doyle R. White; four sisters, Opal Johnson, Francis Everett, Jeanette Jorgenson, Velta Shaw; and one brother, Joe Kanady. Funeral service will be held 2 PM Friday, February 8, 2019 at Smith Mortuary Chapel with burial to follow at Eubanks Cemetery under the direction of Smith Mortuary. Rev. Kevin Tucker and Rev. Andy Johnson will officiate service. Left to cherish her memory is three daughters, Billie Sue Vest, Imogene Waldron(Robert), and Janie Hall; five sons, Albert J. White (Joyce), Larry S. White (Jeannie), David C. White, Darrell E. White and friend Estie Smith, and Paul B. White(Polly); twenty-two grandchildren; thirty-nine great grandchildren; and Numerous Great Great Grandchildren. The family will receive friends from 6PM to 8PM Thursday, February 7, 2019 at Smith Mortuary.